Our team delivers custom multimedia management platforms and portals for 3B Nexus developed as Software-as-a-Service (SaaS) solutions that help online publishers to manage, distribute and monetize multimedia content. 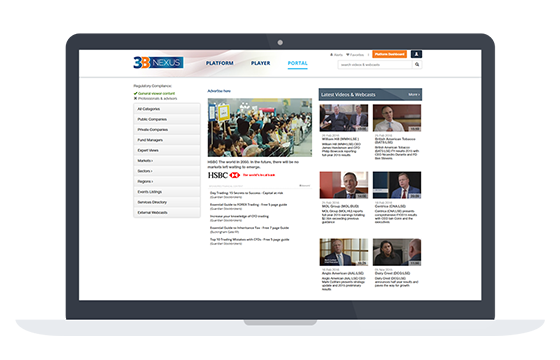 3B NEXUS is a London based online technology and marketing private company specialized in publishing, streaming and on-demand media content distribution for the investment and business sector. They offer Software-as-a-Service (SaaS) solution that helps online publishers to distribute, manage and monetize multimedia content. 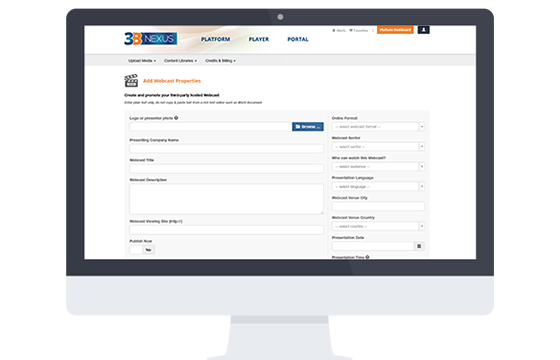 When the team behind 3B NEXUS contacted us they had a legacy system making the content management extremely complicated and time-consuming task. The existing solution was based on outdated technology lacking the possibility to scale or enhance the current functionality. In addition, the design was not optimized for modern browsers and mobile devices. 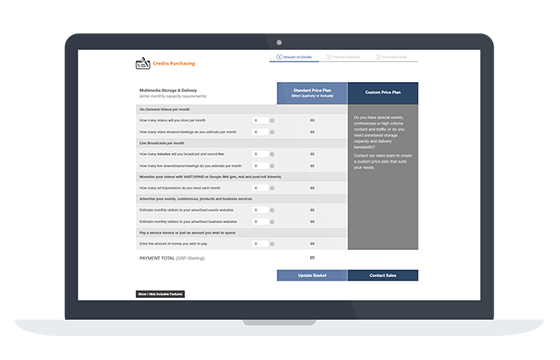 They urgently needed a company that could refactor and extend the functionality of their existing platform to meet their growing client base’s needs. Our team developed custom web platform and portal using contemporary technologies like Yii2 PHP framework and Bootstrap while retaining the current business structure. For optimized performance and scalability, we developed a modular architecture subdivided into separate applets. Using HTML5 video capabilities, we created an interactive and responsive HD cross-media player optimized for different devices, platforms and internet bandwidth. We used Agile Development methodology and delivered the solution in several sprints. To guarantee the consistency and quality of the solution we used test driven development along with regular sprint and code reviews. By refactoring the old API and libraries, we developed resumable bulk uploads for numerous audio and video files. We also made it possible to manage and edit the videos even while uploading. Other useful functionalities we developed include subtitle loading, adding of presentation and synchronizing it to the video, option users to favor videos and advertising options. 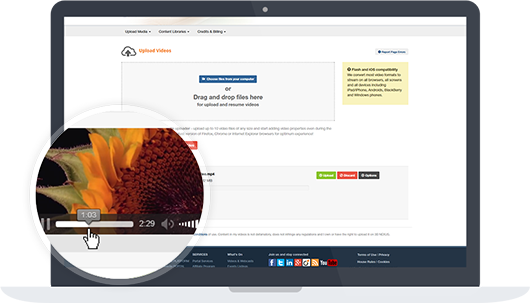 We developed interactive HD video player adjusting to all screens, browsers and bandwidths. We added the ability to embed players and playlist channels on different websites as well as embed a single video player, a Solo Applet (a player with video information and download options included) or create a whole web TV channel where several playlists are visualized. In addition, we created different responsive layouts for the Applets with customizable colors. We built an analytical module allowing comprehensive and real-time traffic monitoring, reach and relevance performance analytics and reporting with options to download account performance overviews and drill-down the individual content for detailed reports and charts about traffic and viewer behavior. We created a secure payment module through which customers could access different reporting tools, see their accounts receivable and payment history. We integrated a variety of payment methods in order to ease the customer experience - Credit Card, PayPal and Bank Wire. The Portal is the place where all videos get published. Users can filter published videos by category or directly search for the desired video in the search field. Portal viewers can access RSS feeds, set filters and automated email alerts to receive notifications as soon as the publisher adds new content. By redeveloping the whole 3B Nexus system, we built a modern solution with module based architecture allowing scalability and feature enhancement.